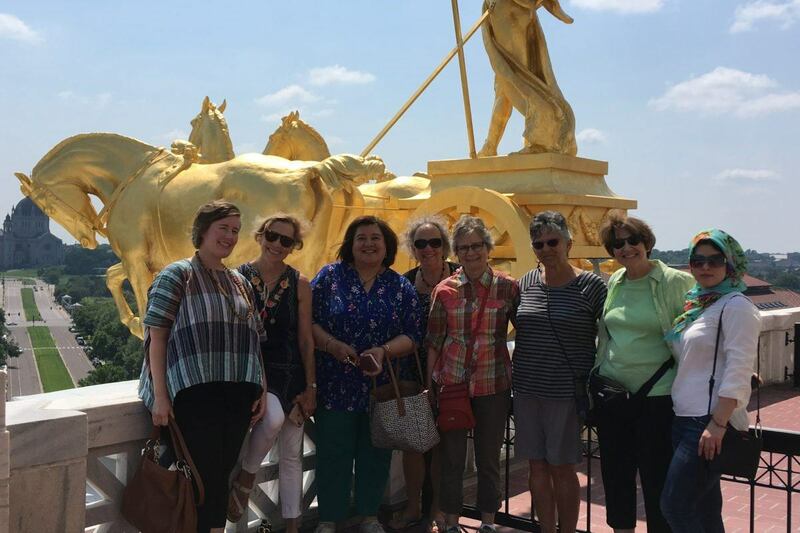 Through women’s friendship groups created by Iraqi and American Reconciliation Project (IARP), and supported by Mary’s Pence, both Iraqi and non-Iraqi women living in the Twin Cities of Minnesota meet monthly for cultural outings. The groups offer a chance for the women to interact, dispel preexisting stereotypes of each other’s cultures, build friendships, and work together to counter Islamophobia. In response to requests from Iraqi group members to learn more about Minnesotan history and landmarks, the friendship group met for a tour of the Minnesota State Capital on July 22nd. Robyn, the grants manager at Mary’s Pence, was invited to attend.